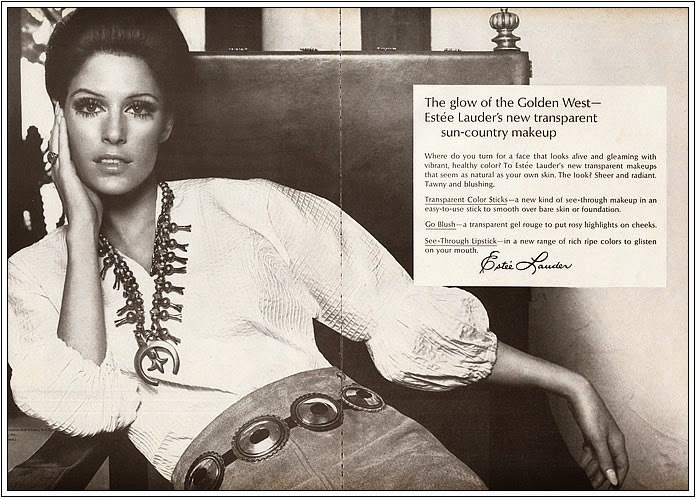 In the sixties, most major beauty care brands started running full-color print ads. These companies were all creating full-page, full-color ads that wowed people — literally. The ads were vibrant, beautiful. Consumers weren’t used to advertising that looked so alive. So what did Revlon and L'Oréal and Helena Rubinstein do? They doubled down. They created MORE full-color ads, saturating magazines — and, in the process, ushered in a new industry standard. And she saw an opportunity to garner attention. When your work is on-trend — in copywriting, design, or any other creative discipline — it runs the risk of blending in, of becoming indistinguishable at first glance. “Let’s try something different,” said Lauder. The ads ran in sepia. And given the current full-color trend, this was considered a “radical” move, a “stupid” move, even an “ugly” move. But despite the critical reception, the ads pulled like crazy, driving 20 - 30 percent more responses than Estée Lauder’s previous full-color campaign. If you want attention, you must immediately stand out — and nothing stands out better than ugly. “I’m the lousiest layout man in the world. I do ugly layouts. Why do I do ugly layouts? Because beauty looks much the same. It has a very narrow definition. Ugliness is randomness, which means that it’s spread out. So there are a hundred different ways to be ugly and only two or three ways to be beautiful.